Summer and it’s abundance of fresh produce makes it so easy to fix simple and delicious light meals. 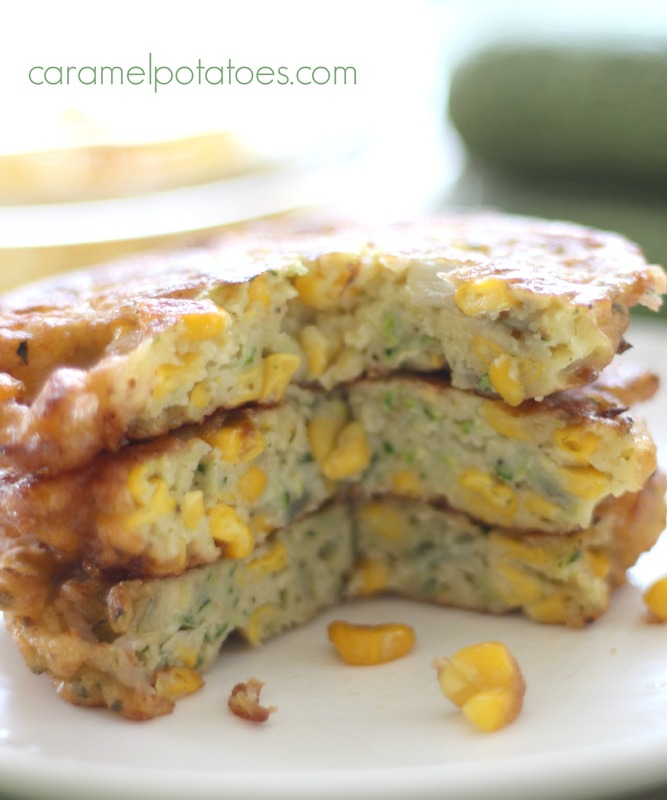 These fresh Zucchini Corn Cakes are perfect for any meal, any time of the day. They are so fresh and so simple to make, plus they store wonderfully in the fridge for a simple lunch or light dinner. Make a big batch and keep them on hand – They are actually good warm or cold, so you can just grab one out of the frig on the go. 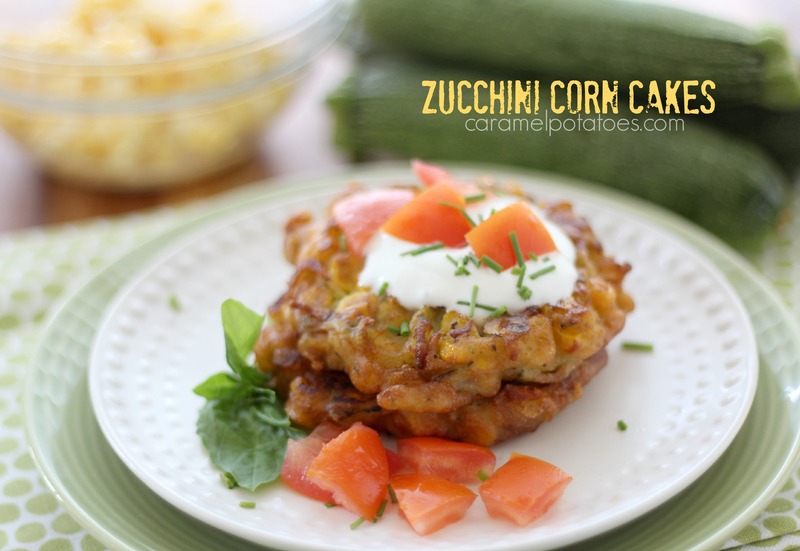 The crunchy corn and fresh garden flavors make a wonderful treat. I like to serve them warm or cold with a dollop of sour cream, some fresh tomatoes and fresh herbs, or salsa for a great side dish. To make a light meal or meatless Monday, just add a fresh salad packed with veggies. We also love them with this Southwest Dipping Sauce. Ingredients 2 large eggs 1/3 cup buttermilk 1/3 cup flour 1 1/4 teaspoon baking powder 1/2 teaspoon salt fresh ground black pepper to taste dash of cayenne pepper 1 cup fresh corn kernels off the cob 1 cup zucchini, grated 1/4 cup chopped onion 1-2 tablespoons oil for cooking Directions In a large bowl, whisk together eggs, buttermilk, flour, baking powder, salt, pepper, and cayenne until smooth. Add corn, zucchini, and onion, and stir until combined. Heat 1 tablespoon oil in a large skillet over medium heat. Working in batches, drop batter by scant 1/4-cup measures into skillet. Cook, turning once, until browned and cooked through, 3 to 4 minutes per side; lower heat if pancakes begin to brown too deeply before middle is cooked through. Add more oil between batches if necessary. Serve the pancakes warm or room temperature. Hi, I like your recipes, but your “print ” option is not very ecofriendly. ! recipe in black and white…3 sheets of paper and 2 similar pictures. Please see if you can get it down to 1 sheet of paper. 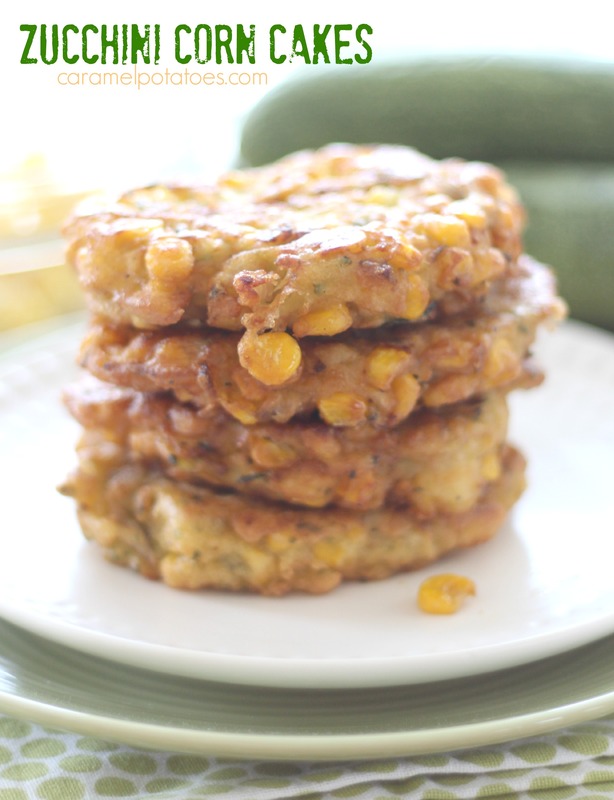 I sauted the corn and onion before adding them to the pancake batter. I also added 1 cup of shredded mozzarella. Great for lunch! Polly – great suggestions! Thanks! Do you cook the corn before taking it off of the cob?